Going to the Wankhede and defeating Mumbai. Sounds tough right? Especially when you sit below the home side in the table. Not for the Rajasthan Royals though who did the unthinkable of Sunday. 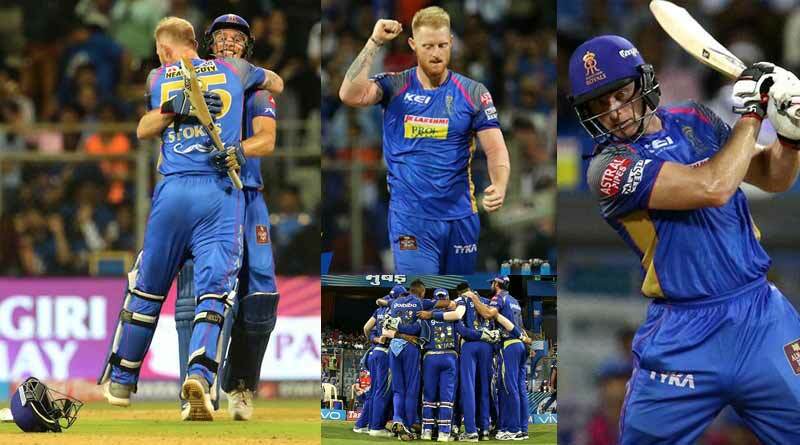 Coming back to RR vs MI IPL match highlights, the final match of Super Sunday saw the Rajasthan Royals take on the Mumbai Indians in one of the most crucial matches of the season for the both of them. And it turned out to be Rajasthan’s day who walked off with the two points after they chased down the 169 run target set to them by Mumbai with 7 wickets to spare. Winning off just 18 overs also boosted their run rate by a huge margin to take them above the Mumbai Indians in the points tally. Their win has made the race of top 4 extremely exciting with three teams now sitting on 10 points. For the Mumbai Indians, too much reliance on the opening pair once again came to haunt them. While the opening duo of West Indian Lewis and one of the best young talent to have emerged this season in Suryakumar Yadav gave them the perfect start for the hundredth time this season, the rest of the batting order crumbled easier than a freshly baked pastry. Yadav’s 38 and Lewis’ 60 was done some justify by a much-needed surge by Hardik Pandya to take the side to 168. Buttler was in no mood to play around though. Continuing from where he had left off the last match, he played another man of the match innings. His innings of 94 cannot be described no matter how hard we try. To sum it up, his knock was a thing of beauty which blew Mumbai apart, leaving every bowler in the dust of its greatness. The chase also saw Rahane get some crucial runs under his belt which will fare well for the Royals going forward in their fight for the top 4. We hope you enjoyed reading RR vs MI IPL match highlights. Stay tuned for more updates on IPL matches.